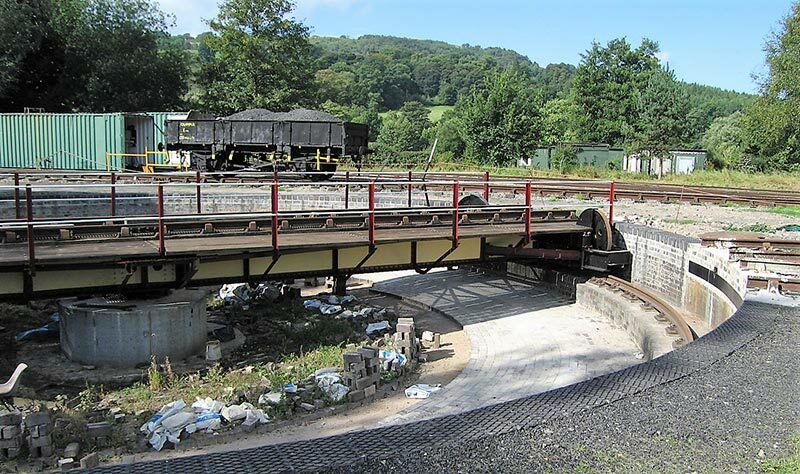 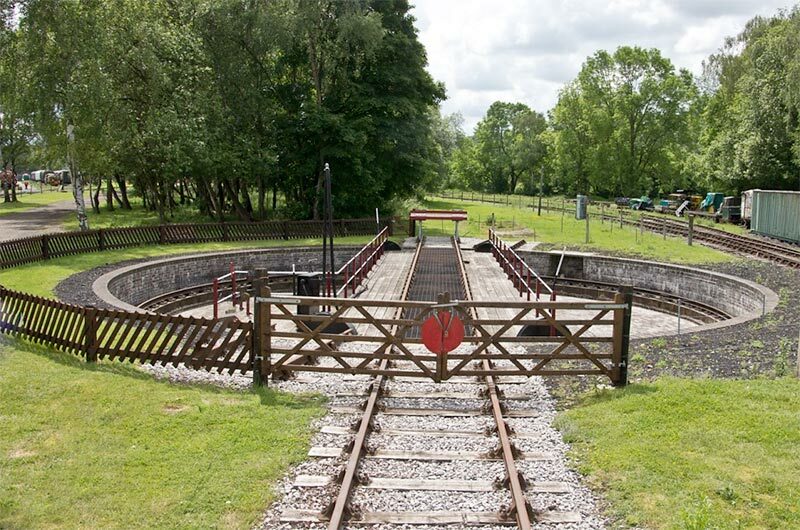 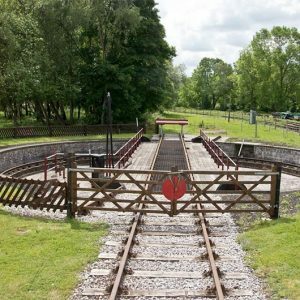 Situated at Rowsley Station this turntable was originally built by Cowans Sheldon and installed at Mold Junction shed during March 1937, as part of the LMS shed modernisation plan following the appointment of William Stanier as Chief Mechanical Engineer. 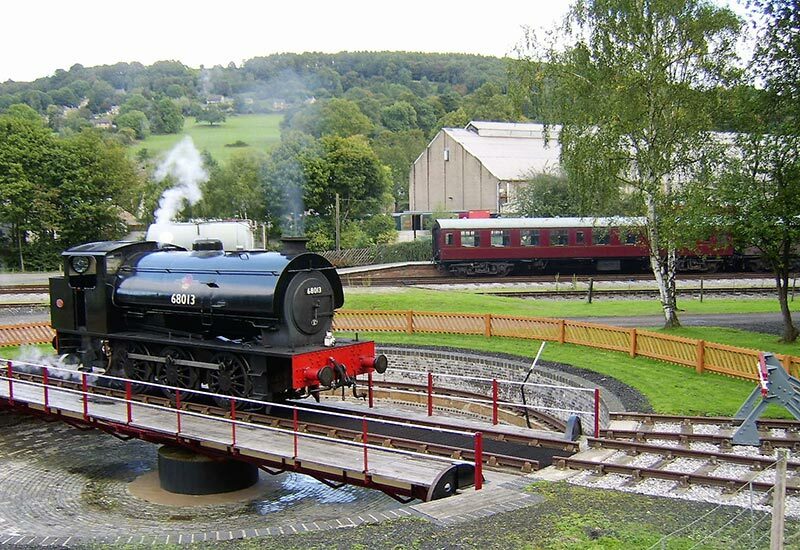 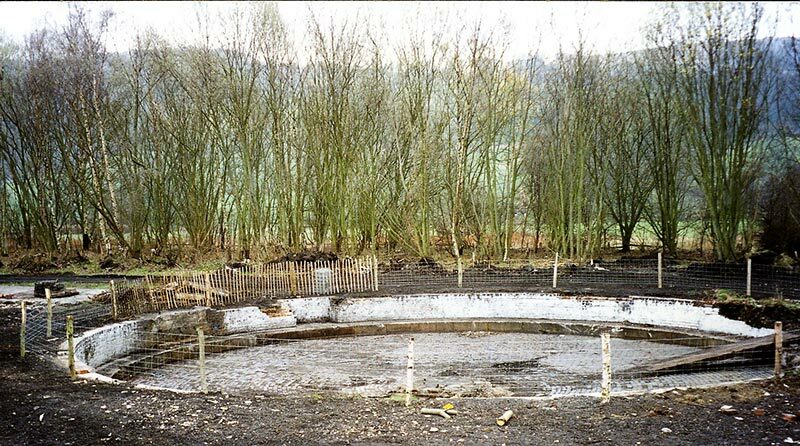 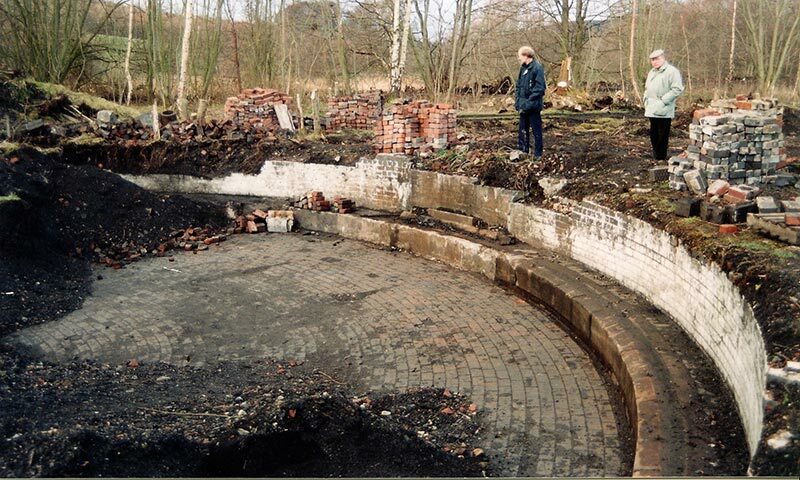 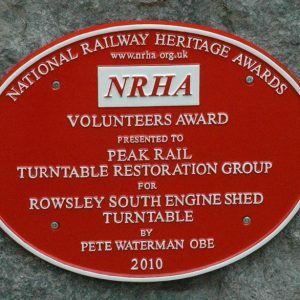 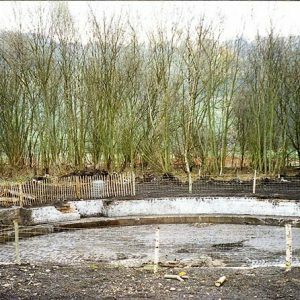 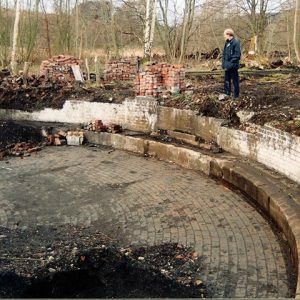 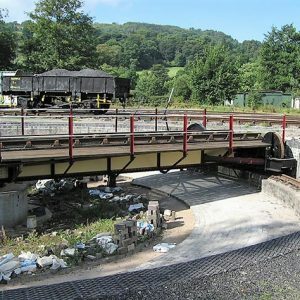 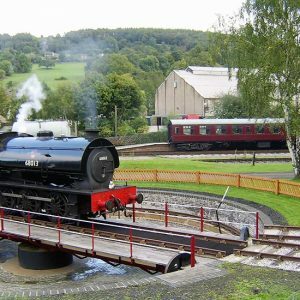 Following the withdrawal of steam traction in April 1966 this 60’ diameter turntable lay in situ until its removal by Peak Rail volunteers in 1987 and was initially stored at Buxton, before being transferred to Darley Dale where a team of loyal, devoted and dedicated volunteers started to undertake its restoration. 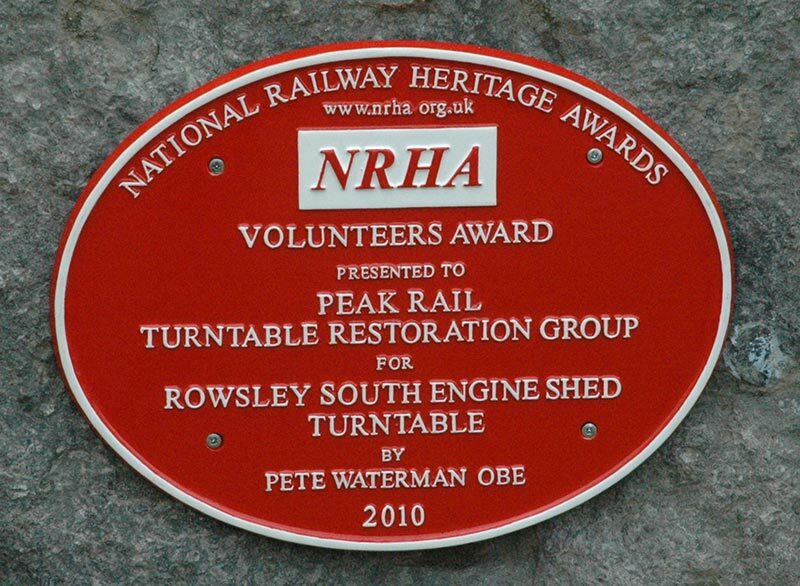 Finally restored to full working order in March 2010.